40th Anniversary on the BIG Screen! The Original 1979 Multiple Award-Winning Family Feature! All tickets bought for this event are for GENERAL ADMISSION seating. Groups (8-or-more): $10.00 per seat with NO FEES. Call: 781-646-4849 for GROUP discount. Regent Theatre Members: $9.00 per seat with NO FEES. $$-OFF & NO FEES | CLICK the icon for more information. They’re irreverent, irrepressible, and downright irresistible. They’re the Muppets! — starring in their first full-length movie. See how their meteoric rise to fame and fortune began: with a rainbow, a song . . . and a frog. After a fateful meeting with a big-time talent agent, Kermit the Frog heads for Hollywood dreaming of showbiz. 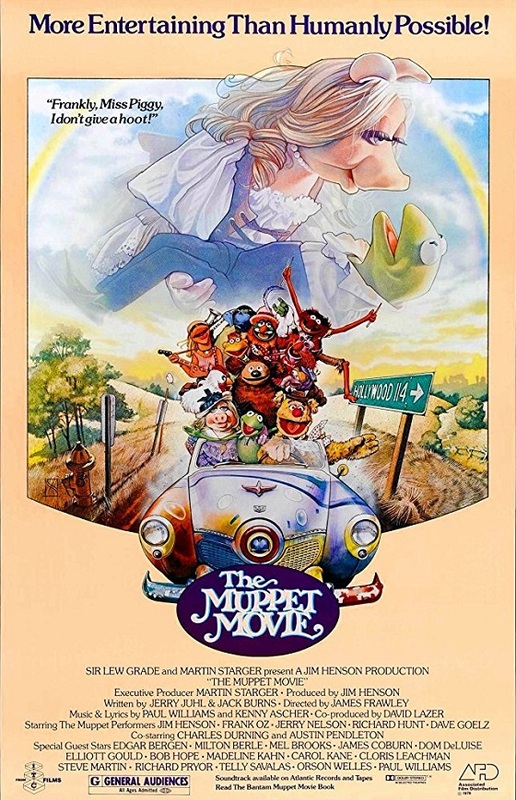 Along the way, Fozzie Bear, the Great Gonzo, and the dazzling Miss Piggy join him in hopes of becoming film stars too. But all bets are off when Kermit falls into the clutches of Doc Hopper (Charles Durning), a fast-food mogul seeking to promote his French-fried frog-leg franchise! Featuring Oscar-nominated music and side-splitting appearances by some of the biggest names on the silver screen — including Steve Martin, Mel Brooks, Orson Welles, and more!